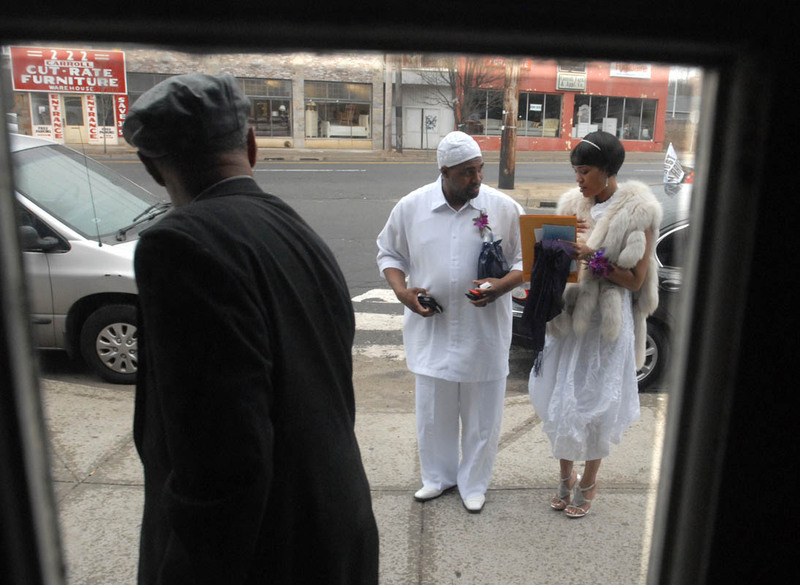 Groom Abdullah Marcus Phelmetto and bride Aiesha Wilkes-Phelmetto enter JPs Lounge for dinner following their wedding. Abdullah is Muslim. Aiesha is Christian. Looking on, at left, is Abdullah's father Louis Phelmetto.